Buchan Community Dial a Bus (DACB) started out modestly over 15 years ago with a single borrowed minibus which was driven weekly by off-duty police officers. It has now grown to be a major transport service in Aberdeenshire with transportation available for the elderly, disabled and marginalised. DACB’s vital work includes transporting community members in need to local shopping areas, the library, doctor appointments, respite and day care or alternative education. In 2010, SIS awarded DACB a funding package which enabled it to purchase new vehicles and invest in business and management development. 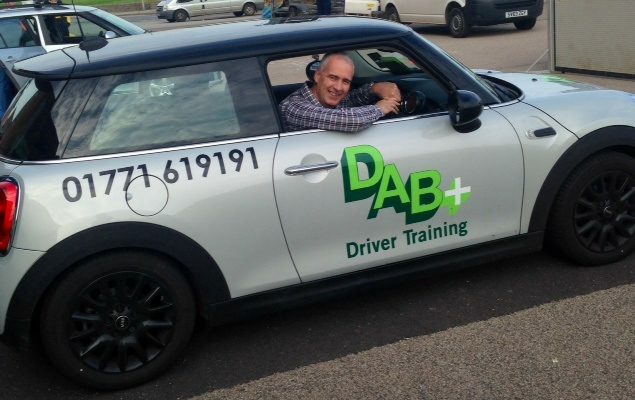 These funds also went towards opening DAB Plus Driver Training: a driver-training organisation focusing on very high driver safety standards. This subsidiary of DACB also provides road safety education for commercial, voluntary and statutory organisations, as well as an additional income stream for its charitable parent organisation. Alistair Johnstone, Chief Credit Officer, learning how to drive again! As an ambitious and efficient organisation, DACB has gained a very positive reputation within the local community. It provides essential high quality transportation services for people who can often be marginalised by society and allows them full access to services in the wider community.